This is a Measuring Sensor Device for Europe. To run this device please insert fresh 2 * AAA batteries. Please make sure the internal battery is fully charged. 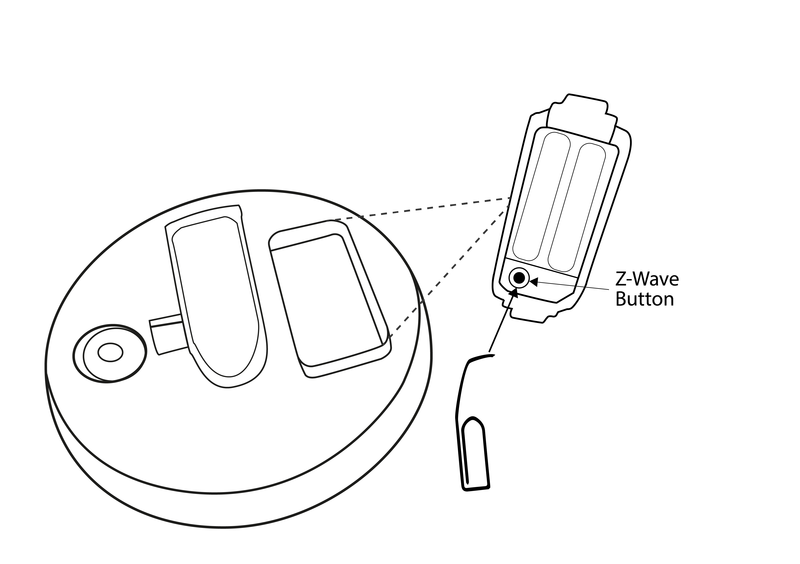 Pushing the Z-Wave button on the device adds (includes) or removes (excludes) the device from/to the Z-Wave network. To reach this button remove the electronics module, unscrews the battery holder to reach the electronics below the battery block. This device measures the rain level on a certain position. The device is IP55 rated and can be used outside the home in the garden or on any other place exposed to rain. 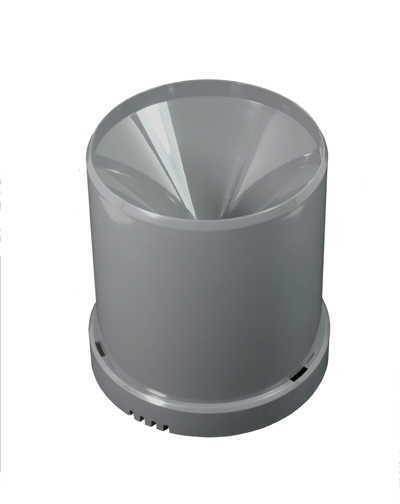 The device has a funnel on the top-side that will collect the rain on a certain diameter. The internal mechanics and electronics counts the rain level and will report it every about 4 minutes if and only if there is rain. The device also monitors a heavy rain condition (10 l/sqm within 5 minutes) and will send out alarm messages when detected. A request from the controller will be answered depending on the wake-up interval delayed by the Z-Rain. The product contains batteries. Please remove the batteries when the device is not used. Do not mix batteries of different charging level or different brands. 1. The flat side of the electronics block needs to be towards the gauge. 2. You need to push the two snap-in noses from the electronics block away to keep the block tight to the base and to avoid any water leckage. The base can now be placed on a flat surface. If the surface is not flat - e.g. on soil – the device still must stand even to ensure correct measurement of the rain. 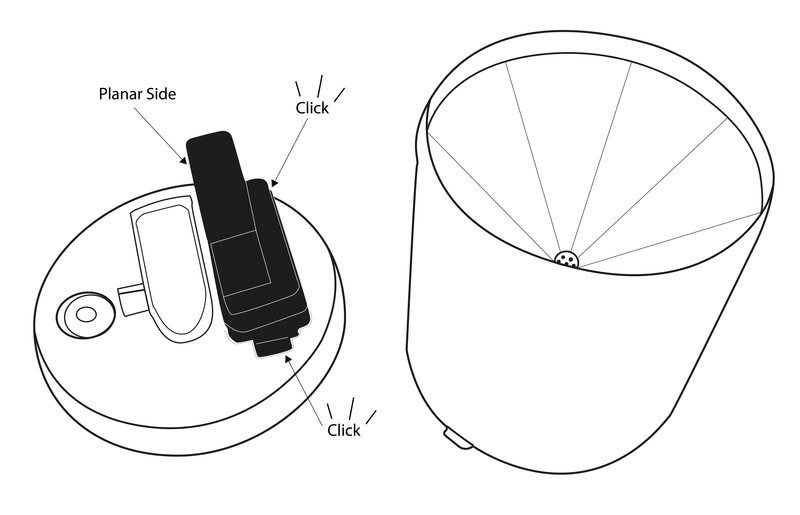 Once the device is included and placed on the right spot it will report the rain level and alert on heavy rain. The max. precision of the rain meter is 3,5 mm rain per hour. Please not that the first measurement result right after start of rain may be inaccurate due to the measurement principle. The device counts full buckets of water and the filling level of the bucket prior to the start of rain is undetermined. Depending on the environment the device may get dirty over time. Please check the interior of the device frequency to remove old leafs and dirt that may cause incorrect measurements. 2 5 Switching Command when Rain (> 0 mm/h). Basic Set Command is sent. 3 5 Heavy Rain detected. Basic Set Command is sent. IMPORTANT: Controllers may only allow configuring signed values. In order to set values in the range 128...255 the value sent in the application shall be the desired value minus 256. For example: To set a parameter to 200 it may be needed to set a value of 200 minus 256 = minus 56. In case of a two byte value the same logic applies: Values greater than 32768 may needed to be given as negative values too. This values shows the total count of rain from the moment of inclusion in mm water level. By writing this value this counter can be reset. This multiplier allows to adapt the display to certain controllers not being able to handle very low numbers. This threshold defines when a heavy rain condition is hit. In most countries this is defined as > 15 mm rain per hour. The default value however is to turn this function off. While the information in this manual has been compiled with great care, it may not be deemed an assurance of product characteristics. Popp & Co. shall be liable only to the degree specified in the terms of sale and delivery. The reproduction and distribution of the documentation and software supplied with this product and the use of its contents is subject to written authorization from Popp & Co. We reserve the right to make any alterations that arise as the result of technical development. Popp hereby declares this device complies with the essential requirements and other relevant prescriptions of Directive 1999/5/EC R&TTE. The complete CE declaration can be found on: www.popp.eu/ce. Do not dispose of electrical appliances as unsorted municipal waste, use separate collection facilities. Contact your local government for information regarding the collection systems available. If electrical appliances are disposed of in landfills or dumps, hazardous substances can leak into the groundwater and get into the food chain, damaging health and well-being.